Midnight Mass (Saturday to Easter Sunday) of a Greek Orthodox bishop for the faithful. 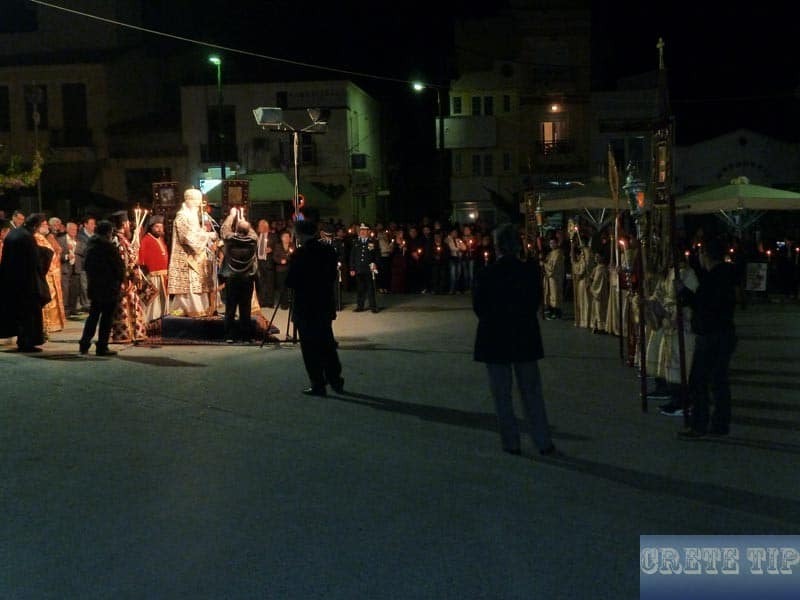 Greek Orthodox Easter: On the night to Easter Sunday, the priests and faithful pull out of the church in procession. Easter is the most significant festival in Greece and has the importance of Christmas in Western Europe. Every Greek is trying to be at the celebrations in his hometown and also many Greeks from abroad are travelling to Crete or other locations in Greece. 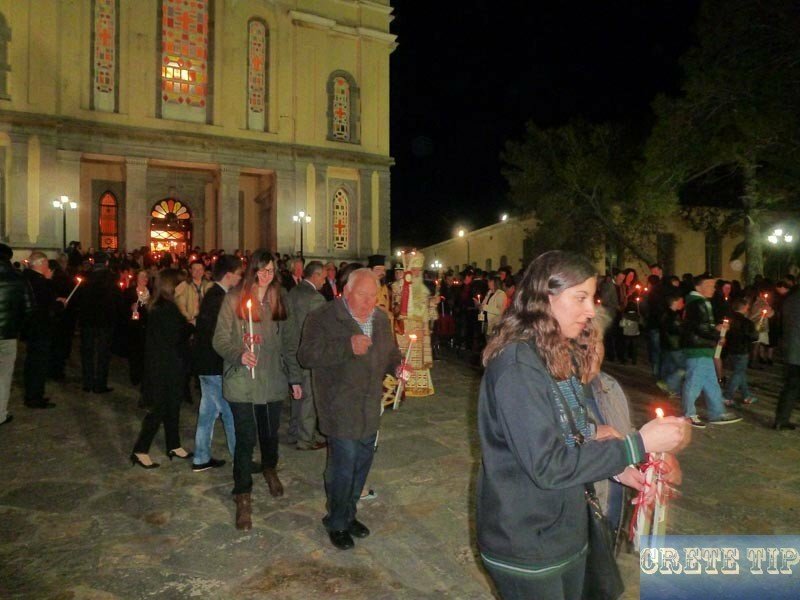 There are also many tourists who want to have an experience about the Greek Orthodox Easter celebrations on Crete, from where are the pictures further down are coming. Although the date of Easter of the Orthodox Church is also defined as in Western Christendom (first Sunday after the full moon spring), the dates almost always differ between one and four weeks, as the Eastern Church has not followed the Gregorian calendar reform. 40 days before Easter Carnival takes place, in which the Greeks traditionally fly kites in the air and take the last sumptuous meal before fasting is starting. The sad climax of Easter Week is the Epitaphios Procession on Good Friday. Joyful climax is on Saturday at midnight when the priest, invoking ‘Christos Anesti’ (‘Christ is risen’), reaching a candle from the altar room ! From the candle the bystanders light their own candles and light the candles of all others. On Crete there is a pile of wood in front of the church, which is lit and the symbolic Judas is burned. With the candle in his hand all are going home. Long after midnight, the lamb offal soup ‘Magiritsa‘ is consumed. On Easter Sunday, everywhere lamb skewers are rotating over a charcoal fire. Video of the Greek Orthodox Easter Mass at Plaka. « Merry Xmas 2017 !